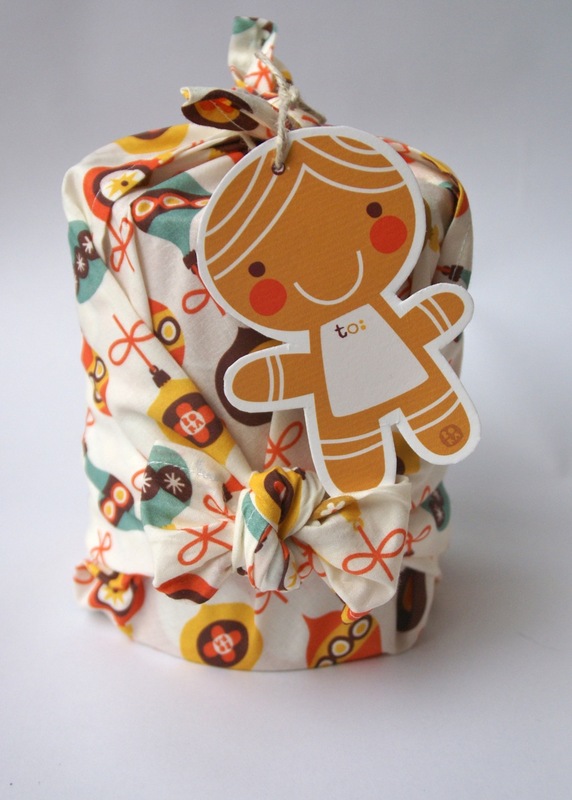 ***BORA ILLUSTRATIES***: Furoshiki and free gift tags! 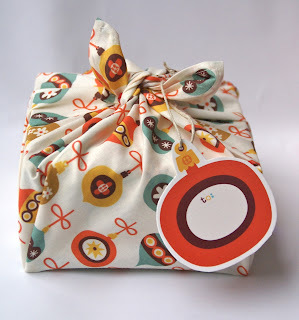 Furoshiki and free gift tags! 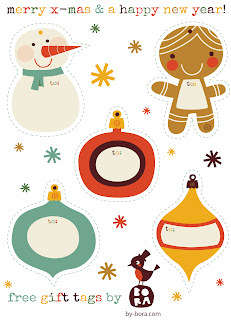 I designed some gift tags matching the christmascards and fabric with the vintage christmasballs and snowman. You can download it for free here or at my flickr and use it for your presents. The tags are only for personal use! The fabric is also available at Spoonflower. A fat quarter is perfect to make a furoshiki of 45 x 45 cm. Cut the fabric, make a small seam an wrap your presents like this! The fabric and tags match with the christmas cards. Which you can find in my shop or etsy. What a gorgeous idea! Thanks for sharing your free tags, they are so sweet! Thank you very much! 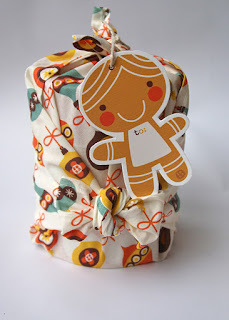 Your craft and fabrics are fantastic! Beautyful tags!!! I'll use for my gifts! Thanks for sharing. 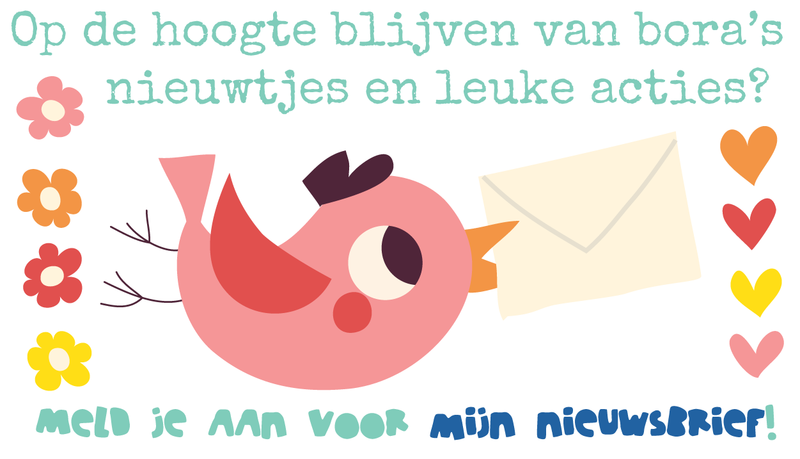 En wat lees ik hier :).. helemaal geweldig leuke stoffen heb je toch. Thank you! I am printing mine on sticker paper and using as my special tags for the gifts from Santa Claus! My daughters will love them. Thank you! So bright and colourful. Bora is a short name for Deborah van de Leijgraaf. Sheʼs working now for 11 years as a designer for children books, cards and fabrics. In 2002 she graduated at the Willem de Kooning academie. Back then Deborah never imagned in her wildest dreams that she would have a succesfull design studio and shop full with happy fabrics, cards, posters and more of her own designs. She's a busy bee who loves her work, but also wants to keep a balance and enjoy her family life with 3 kids. They give her a lot of inspiration and joy. All images © deborah van de leijgraaf - www.by-bora.com . Thema Eenvoudig. Mogelijk gemaakt door Blogger.